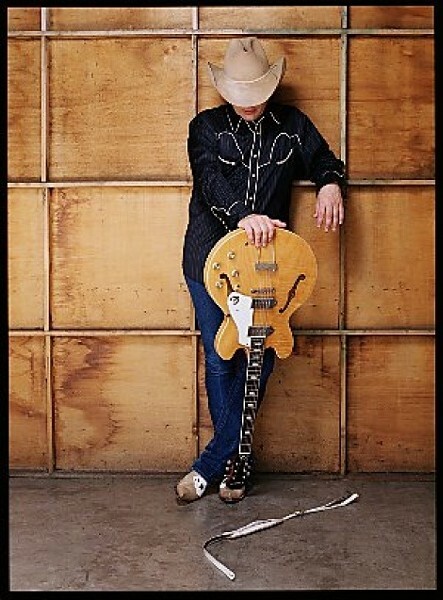 Music in the mountains with Dwight Yoakam, Junior Brown, Sam Bush & more this weekend. Martin Scorsese isn’t exactly the first name that leaps to mind when one contemplates “Western” music. But if it weren’t for the New York City-centric film director, the inaugural Way Out West Music Festival, Aug. 7-8 at Snowbasin, might never have gotten off the ground. No, we’re not going to see Scorsese in a cowboy hat introducing the slate of country, bluegrass and country-rock acts filling the stage set up where the giant slalom racers finished their runs during the 2002 Winter Olympics. But he deserves a hearty “thanks” from fans of the bands descending on northern Utah. The story is this: The brothers McEuen (concert promoter Ryan and musician Jonathan, the Utah-raised sons of Nitty Gritty Dirt Band’s John McEuen) were shopping a video of one of Jonathan’s songs called “Scorsese” during the 2010 Sundance Film Festival. The director got word about the song, Ryan McEuen says, and after “conversations, conversations and more conversations,” the brothers ended up at the Directors Guild of America building, where Dwight Yoakam has an office. What people will get at Snowbasin this weekend are two days with two stages packed with roots music, or as McEuen puts it, “music from the West, played in the West; Americana music, it’s what I was born and raised with.” The McEuens put together a stellar lineup that draws heavily on Jonathan’s friends in the biz, and the McEuens’ father’s friends, like Sam Bush, Dave Mason and Yoakam. And Ryan knew Martin Sexton from producing a festival in Deadwood, S.D. In addition to the music, concert-goers can take advantage of Snowbasin’s attractions, while camping is abundant in the national forest land surrounding the ski spot. McEuen notes it’s a challenge to independently throw a festival of this size—“It doesn’t have that taint of Ticketmaster or the giant conglomerate. This is rogue!”—but he expects people will be thrilled with the first WOW Fest. For more information about the Way Out West Music Festival, visit WayOutWestFestival.com. Tickets available at 24Tix.com.